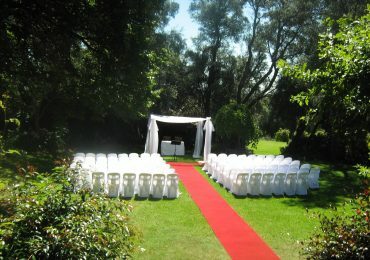 Planning an intimate wedding chapel ceremony with just your closest family and friends in attendance? 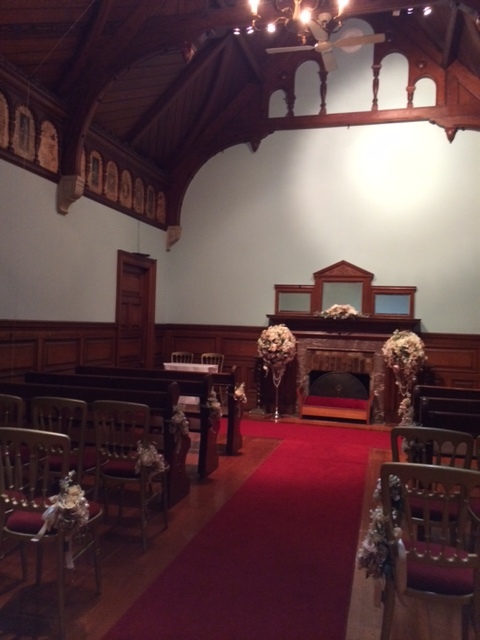 Take a look at the gorgeous chapel on the grounds of Overnewton Castle in Keilor, just 18 kilometres north-west of Melbourne’s CBD. 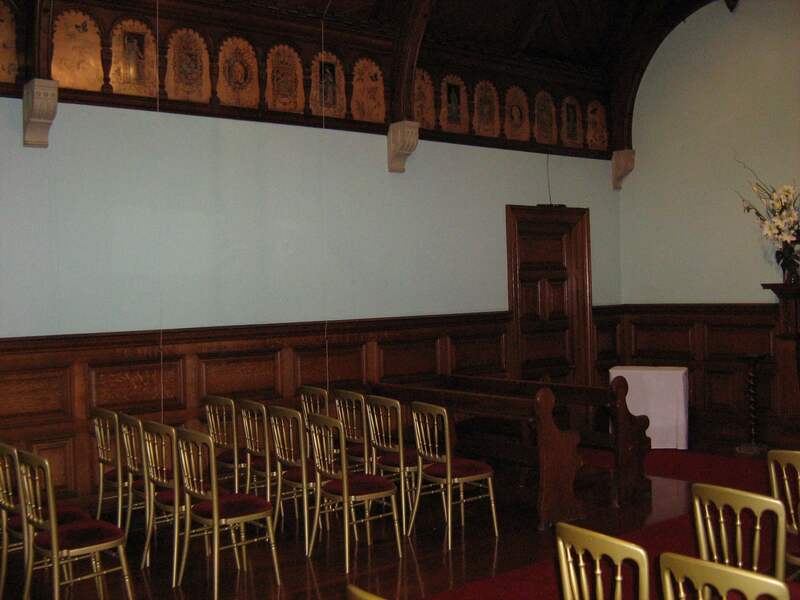 Originally built by William Taylor as a billiard room, our chapel contains hand painted pictures on oak panels of 12 historical figures. 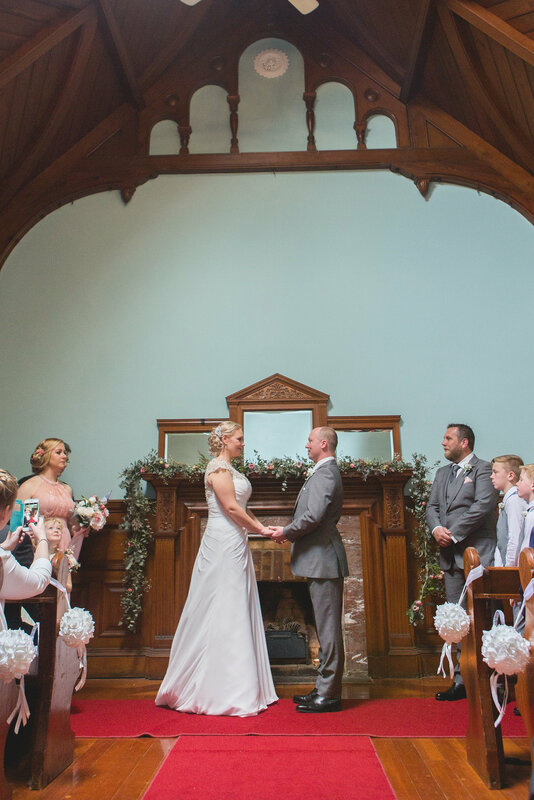 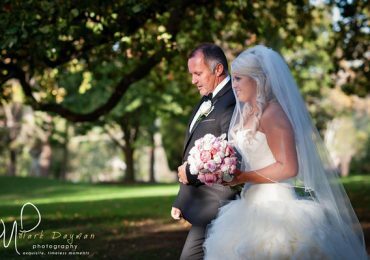 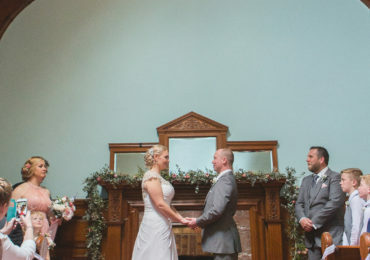 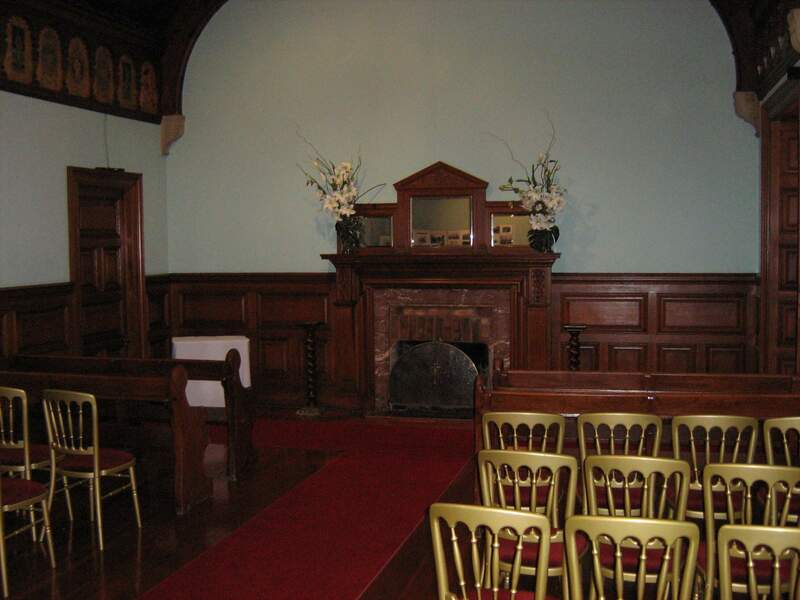 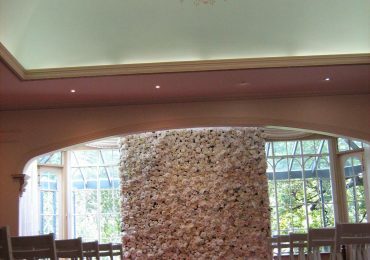 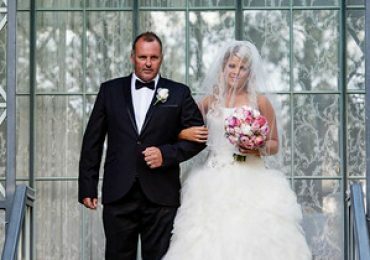 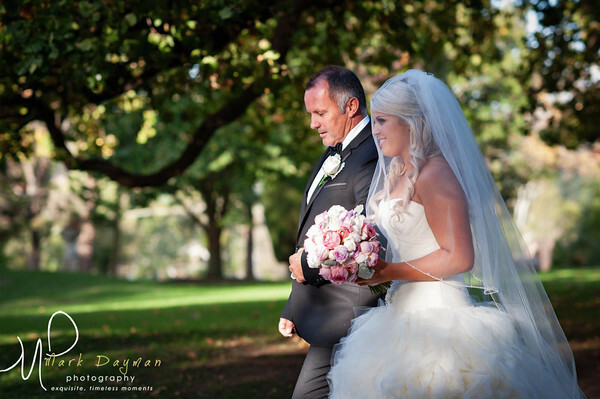 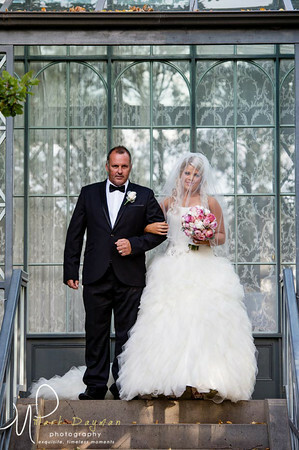 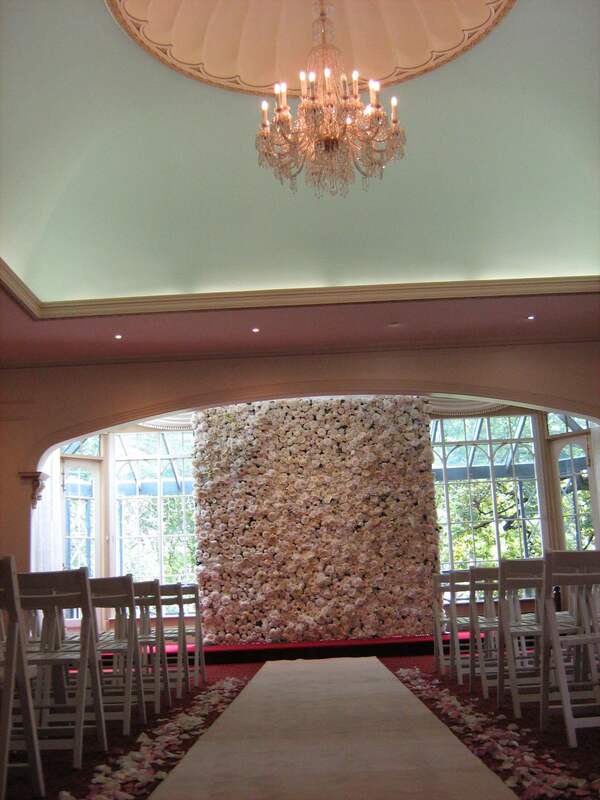 The building has an exquisite hand carved wood ceiling with original polished timber floor and has become one of the most sought-after non-denominational chapels in Melbourne for wedding ceremonies. 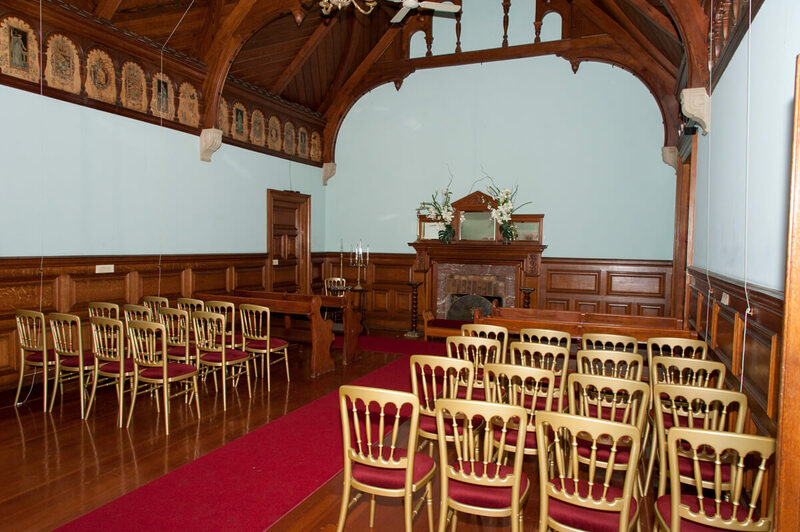 The quaint chapel seats 80 guests with a mix of wooden pews and golden chairs, with additional standing room at the back comfortably holding up to 100 guests. 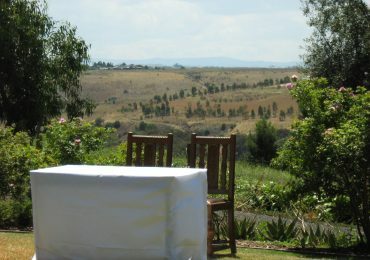 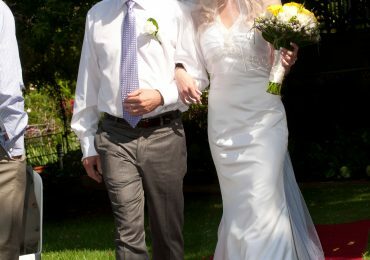 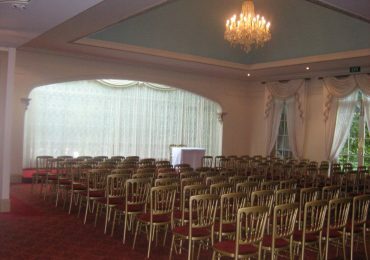 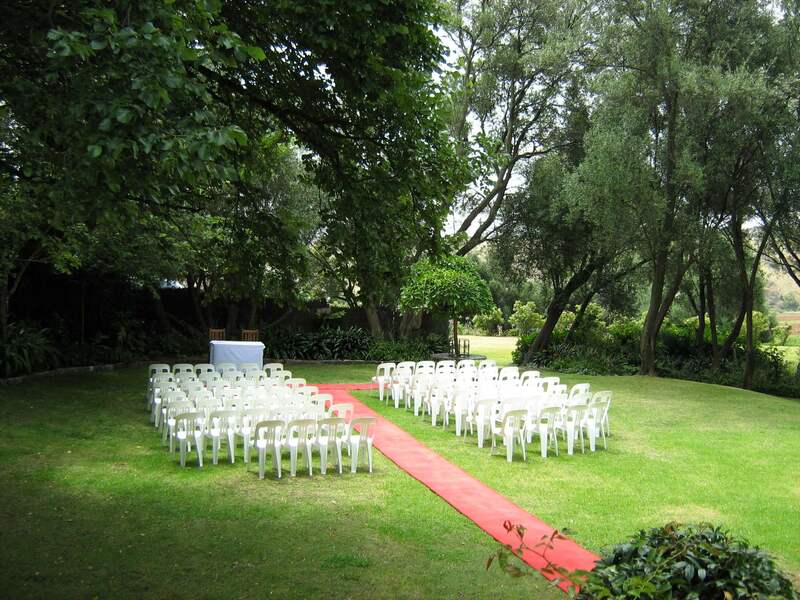 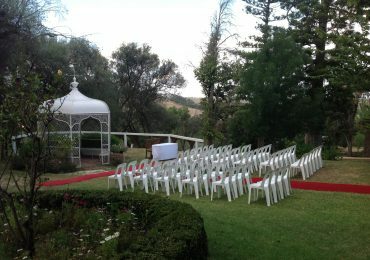 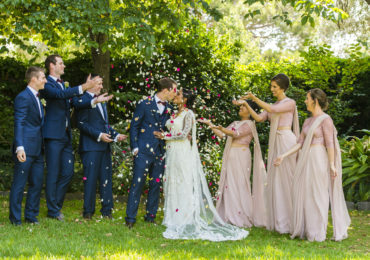 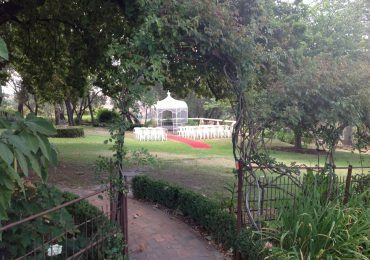 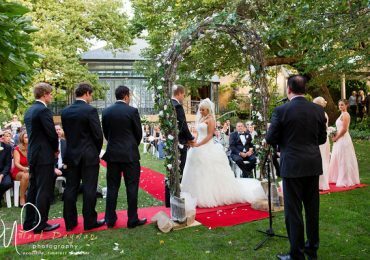 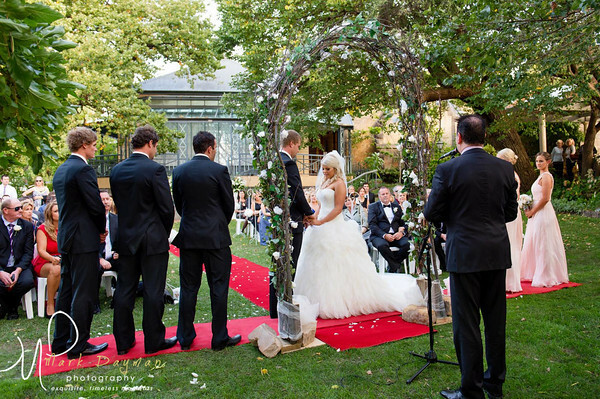 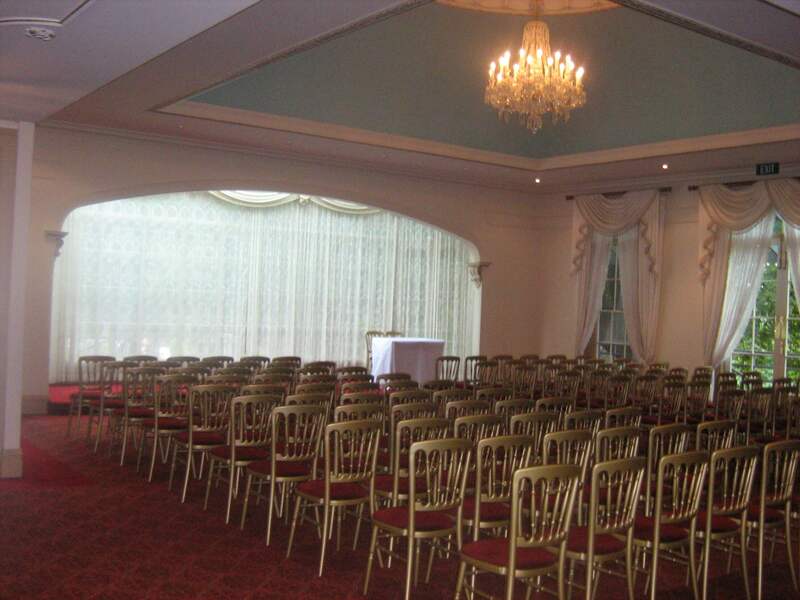 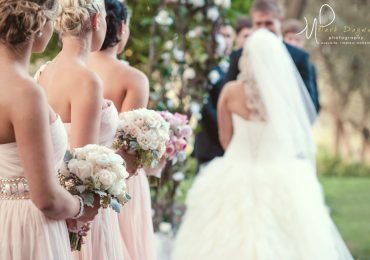 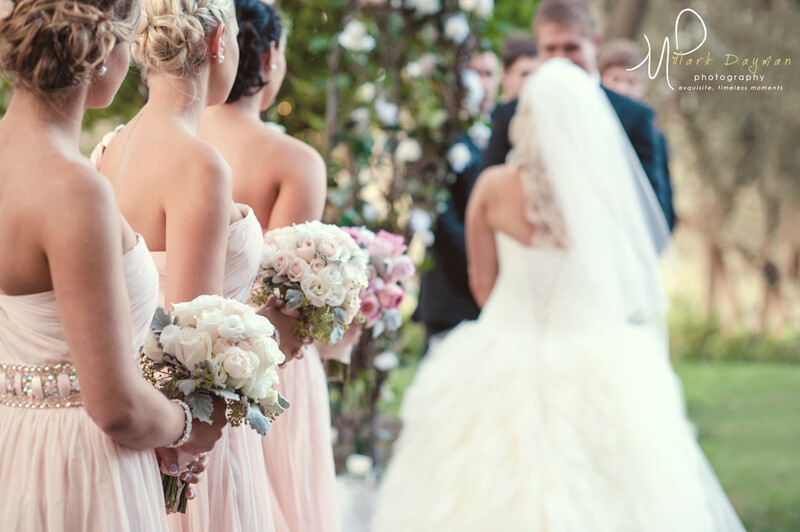 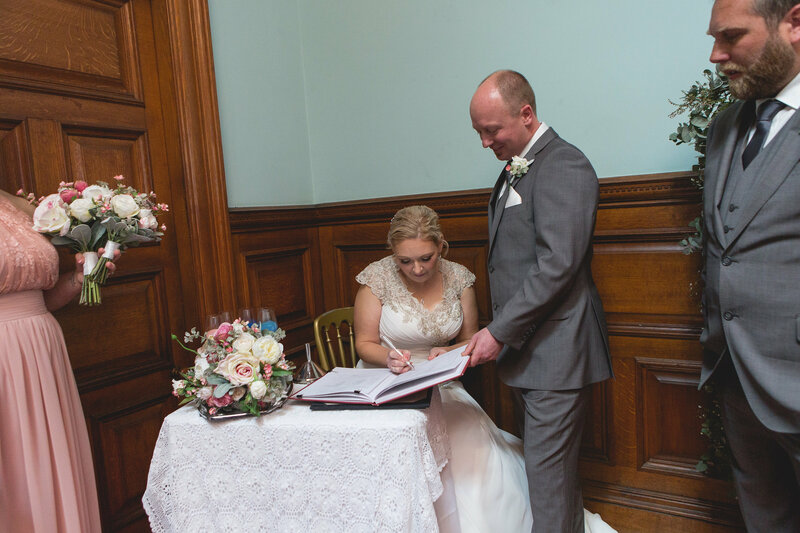 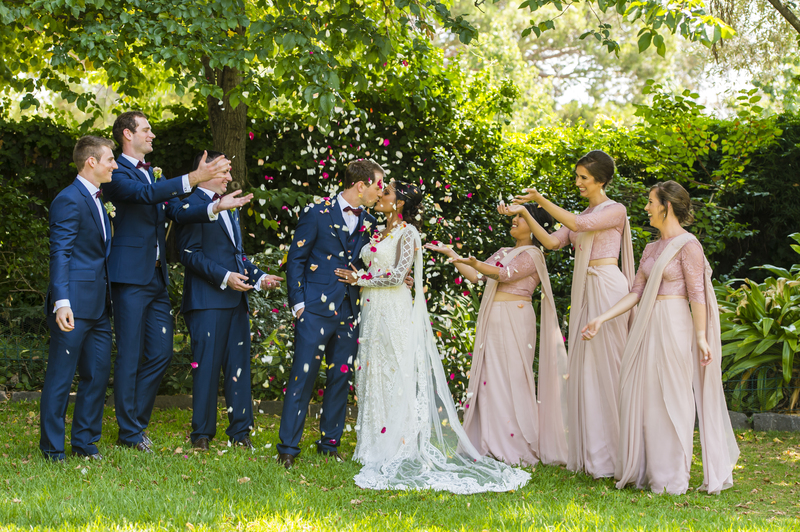 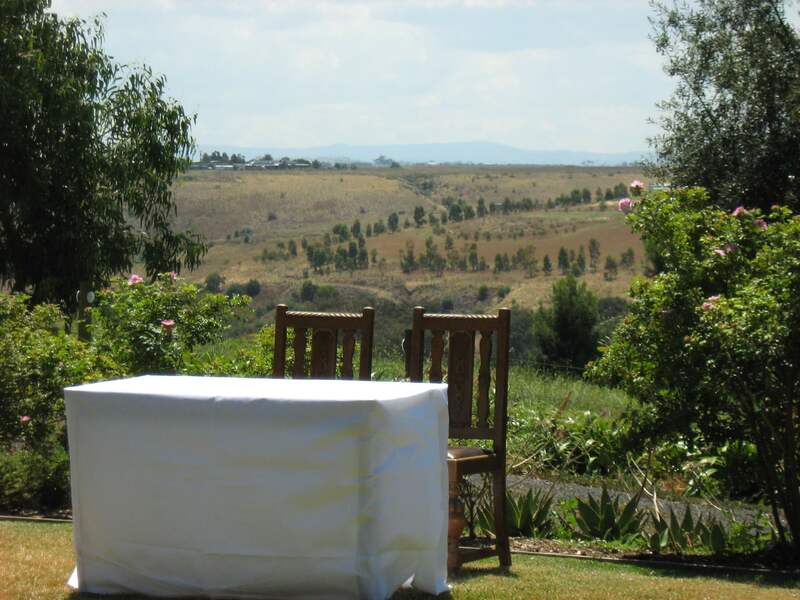 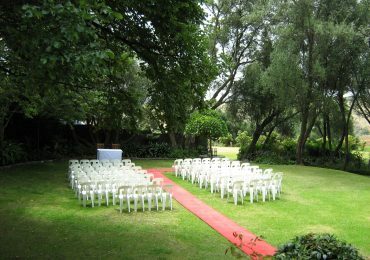 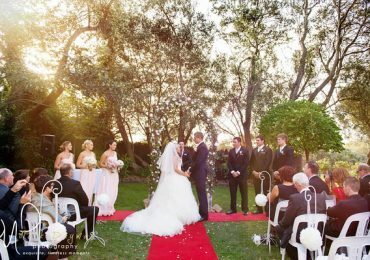 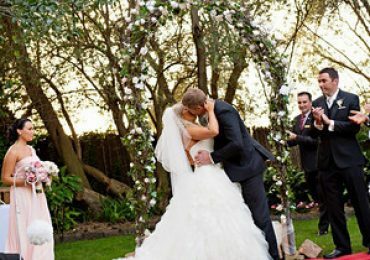 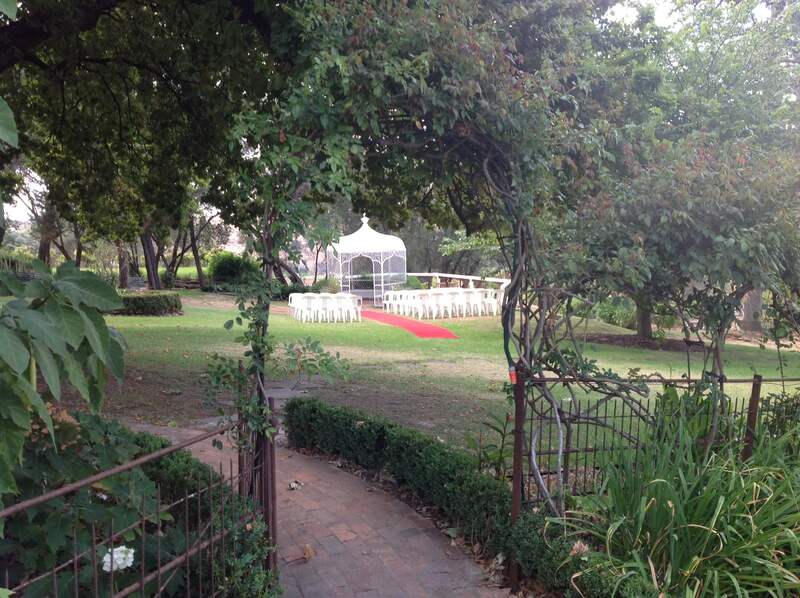 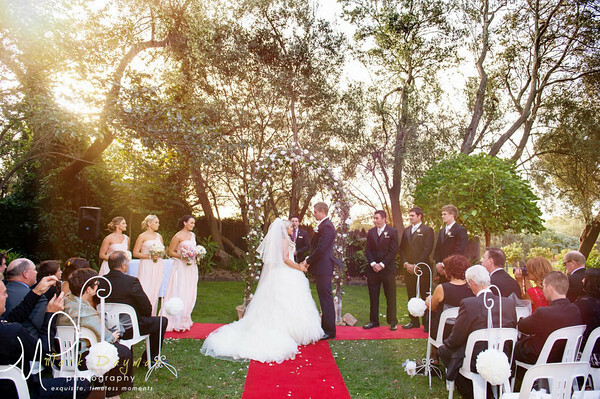 The ceremony package includes red carpet, signing table with white linen cloth, and two chairs, along with access to the breathtaking gardens for photos thereafter. Overnewton Castle is of architectural significance for its unusual billiard room turned wedding chapel in Melbourne. 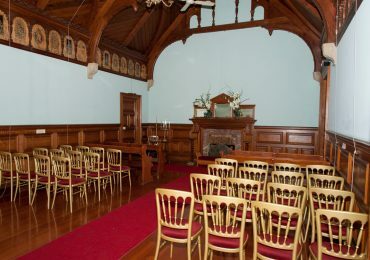 The interior fitting may have been prefabricated in Scotland before 1859 and the joinery has been executed to a very high standard. 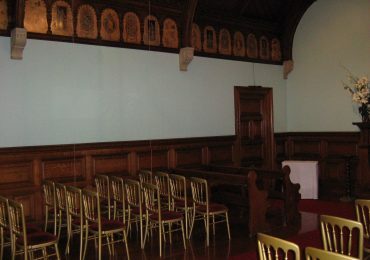 The billiard room is of aesthetic significance for the frieze portraits, probably also dating to 1859. 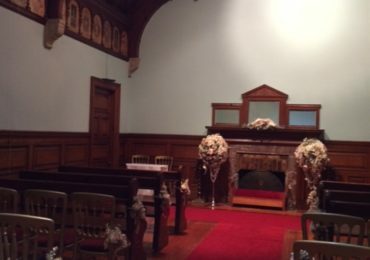 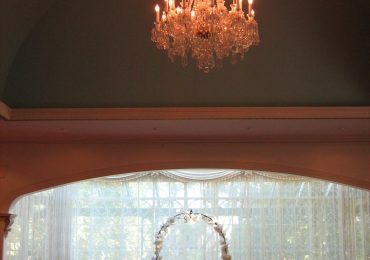 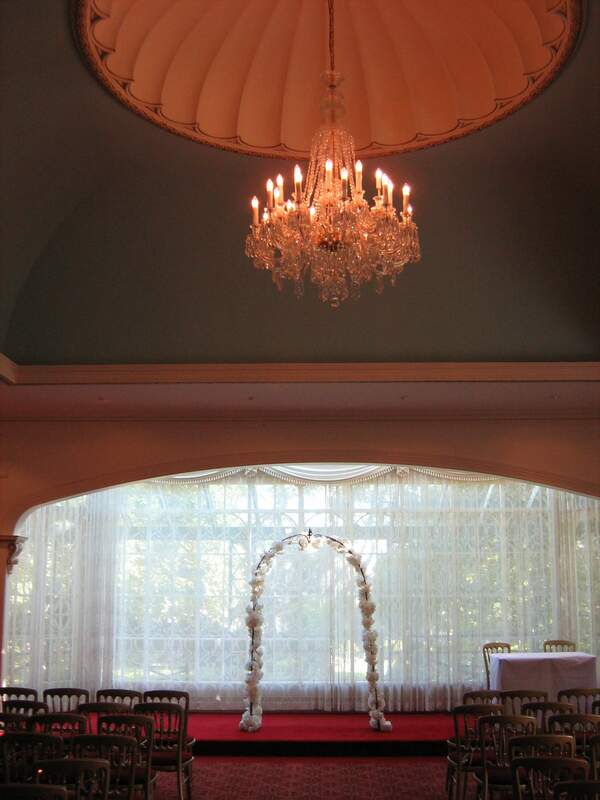 With its unique history and heritage, our non-denominational chapel is a one-of-a-kind venue to hold your intimate wedding ceremony.